The 2013 Canadian Mountain Running Championships are headed east � to the XTRAIL Asics race in Mt. Sutton, Quebec. This year�s Nationals mirror the format for the 2013 World Mountain Running Championships, in that the race includes both uphill and downhill portions. The 11.8k course features over 500 meters of climb, mostly in the first 5k. The racers in the senior men and senior women categories are also fighting it out for prize money: $150, $100, and $50 for 1st, 2nd, and 3rd, respectively. Returning Canadian national mountain running team member David Le Porho has a history at the Mt. Sutton event, having won the 21km race in 2012. Le Porho says the race can sometimes be decided in the first few climbs. �The first big ascent is important, so you need to run it fast enough (without running out of energy) to be in a good position before starting the single track�. The single track is littered with roots, rocks, and water features, and he says �once you are placed in the single track, the race is almost made. Le Porho is also a two-time defending snowshoe world champion. After a highly successful snowshoe racing season, his training turned to road and trail running. �I have concentrated my training on road running with a marathon at the end of June, and I established PB�s on most distances this spring�. He credits part of his early success this season on focusing on snowshoe racing all winter long. This is the first time the National Mountain Running Championships are being held in Quebec, so some new faces are expected to emerge. On the men�s side, several previous podium finishers from the XTRAIL Asics race in Mt. Sutton and Mt. Orford will be lining up, including Luc Hamel, Alister Gardner, Sebastien Tremblay, and Charles Bedard. Christian Mericer of Quebec City is also expected to be a strong contender, coming off a 10th place overall finish at the Vancouver Sun Run. For the women, Sarah Bergeron-Larouche will be a racer to watch, having run cross-country for the University of Alberta Pandas and University of Ottawa Gee-gees. Several podium finishers from previous XTRAIL Asics racers are starting, including Mont Orford�s 2012 5k winner Amelie Ducharme, and the 21km runner up Melanie Nadeau. Not to be counted out is one of David Le Porho�s Team Canada snowshoe teammates, Monika Owczarek. Team Canada veterans Mirabelle Tinio and Shannon Penway are also travelling all the way from Vancouver to fight for the national championship. Being from so far west, Penway is approaching this race with an open mind. �I am expecting an exciting new experience on quite different terrain � I�ve never been to this part of Canada before so I am very excited to see what it is like�. Her world championships experience last year was an uphill-only race, but this year�s technical 6 km of downhill is a challenge that does not phase her at all. Airplanes aside, Penway�s training has focused on strength and stability in anticipation of the technical demands of the XTRAIL Asics course. The Canadian Mountain Running Championships are being held in conjunction with the XTRAIL Asics race held at Mt. Sutton, Quebec on June 1st, 2013. In addition to being the national championships, they are the selection race for the 2013 World Championships in Poland, the NACAC Mountain Running Championships in New Hampshire, and the World Long Distance Mountain Running Challenge, also in Poland. Check back to mountainrunning.ca for results and reports after the race, or visit our facebook page for more updates. 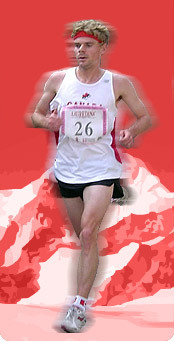 Saturday, May 11 2013 - 2013 Canadian Mountain Running Team Selection Criteria - Updated! *Reminder* To be eligible to run at the National Championships and compete for a place on the Canadian Mountain Running Team, competitors are expected to be members of the Canadian Mountain Running Association. Visit the download section on the main page or click the link below for the membership form.